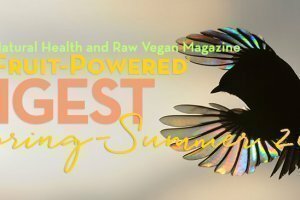 Explore Finding Your Synergy with Alicia Grant, Alicia Grant’s guest stories for Fruit-Powered Digest. I have always been attracted to gemstones and crystals but never knew anything about them beyond their beautiful exteriors until I happened to be standing in front of the Earth Shoes store in Laguna Beach, California, waiting for them to open early one Thursday spring morning so I could buy a much-needed pair of new shoes. Across the street, the sign Earth Stones International caught my eye, and I was drawn to cross and enter since the shoe store owner was obviously running late. Once inside this magical store of crystals, an exotically beautiful woman named Elsa greeted me and said, “Do you like stones?” I said I did, thinking to myself, “Who wouldn’t?”, but I had no idea the incredible benefits these amazing gifts from Mother Nature had to offer. 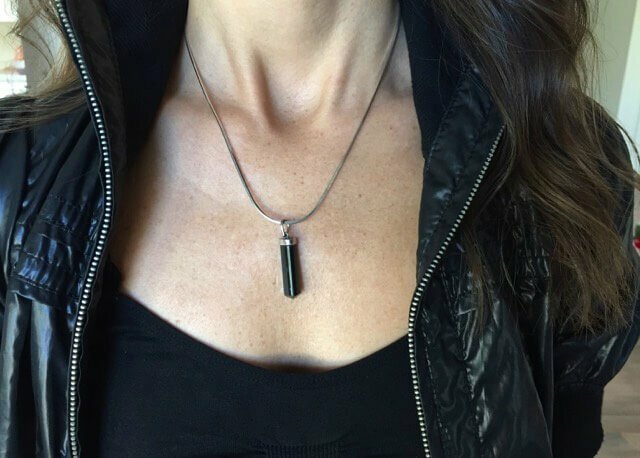 Alicia Grant wears an obsidian gemstone pendant. Alicia took home an obsidian pendant during her first visit to a gemstone shop. All photographs contributed by Alicia except for the featured image. Elsa asked me a variety of questions and inquired about my birthdate, informing me of my sun and moon signs, which I didn’t know existed, and opened up several books to identify stones that would assist and support my life journey based on all of my signs. She drew me in further, explaining that each stone had its own vibration that would influence and affect my body—and my life—in powerful ways. As I walked around the shop and marveled at the thousands of stones on display, I was drawn to pick up and hold certain crystals. Elsa explained the metaphysical benefits each stone had to offer and that we are often attracted to the exact stone we need to assist us at that moment in our life. She revealed books that gave vast descriptions of the stones and how to learn more about each one. 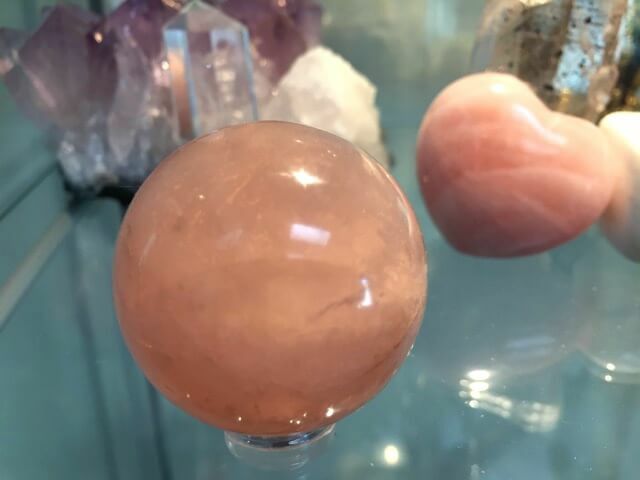 Rose quartz sphere and heart gemstones are shown on a glass surface. Then Elsa asked me to hold certain stones and tell her what I could feel in my body. As she confirmed my intuitive sense of what I was feeling from holding the stones in my hands, I was tripping out a little and yet so excited and fascinated by what I was learning. Just when I thought there was nothing else in life to excite or interest me, a whole new world opened up that was magical and amazing in infinite ways. Several hours later, I walked back across the street and thanked the shoe store owner for being late. Otherwise, I might never have noticed the crystal store across the street. That was the day my intense love of stones came to life, and I’ve been collecting crystals ever since. I went home with an obsidian pendant that day to help protect my empathic nature from absorbing and being affected by the energies of others. This shiny black stone creates a shield around the body to help protect against negativity, something I was easily affected by without even realizing it. Photographed is a heated citrine gemstone. 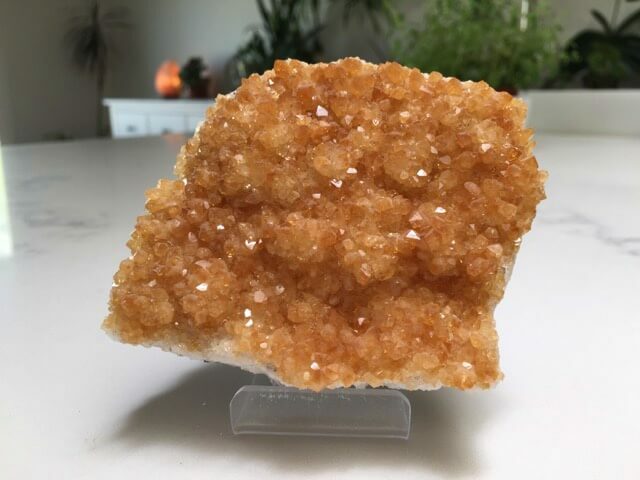 I also felt compelled to buy a beautiful piece of heated citrine for its cheerful golden color and ability to assist with boosting confidence and improving finances. After experiencing the benefits of both of these stones, I went back for more. Soon I was discovering other crystal shops and then, I found the Gem Faire, an entire exhibit hall filled with hundreds of gemstone dealers under one roof who travel from near and far bringing thousands upon thousands of gemstones at incredible prices. The Gem Faire comes around five or six times a year to my local area, and I have come to know many of the dealers. I love going in search of new and different stones. Many people may be thinking, “How can these stones have any kind of effect on a person or their life?” I wondered, too. The truth is, everything is made up of energy, measurable energy. We all have a unique energetic vibration that can be quantified. Scientists began to recognize that everything in the universe is made out of energy, and quantum physicists discovered that physical atoms are made up of vortices of energy that are constantly spinning and vibrating, each one radiating its own unique energy signature. My understanding of how gemstones work is that their vibrational field can affect and influence our personal vibrational field when they enter our space. Health is the natural state of any form within the universe. Therefore, the natural inclination and tendency of anything within the universe is that of balance, cohesiveness and ease. This means that the natural progression of vibration is to entrain and resonate in the direction of health. Because of this, when you share space with a crystal (or gemstone) that has a resistance-free vibration, instead of the vibration of the crystal adopting a non-cohesive pattern, your energy will entrain with the energy of the crystal and adopt its cohesive pattern. 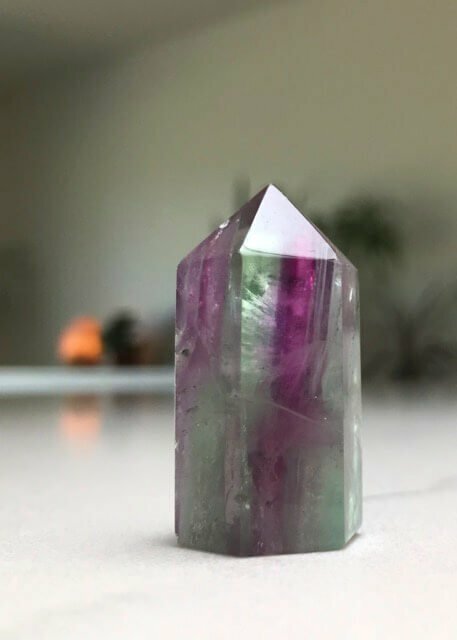 Because of this entrainment effect, crystals and gemstones are incredibly adept at bringing us back into a vibrational state of health and harmony. One of my favorite crystals, which is also super-common, is amethyst. This beautiful purple gem ranges in color from a soft, pale lilac to a very dark, rich violet. The magical essence of this intriguing stone speaks to your inner intuitive, refining your instincts and beckoning you to call on your spirit guides and angels to assist and communicate with you. 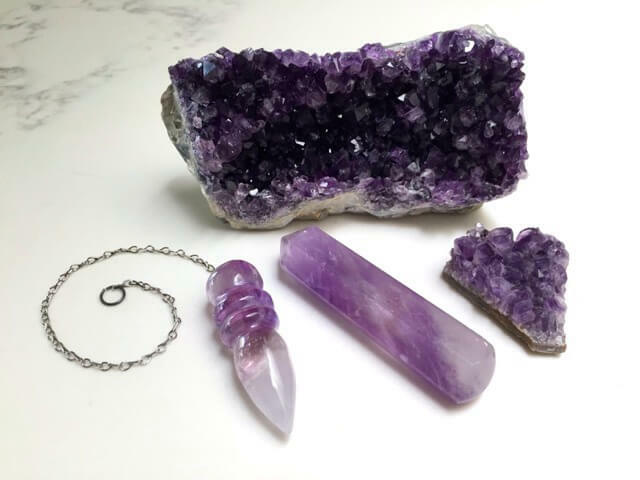 Amethyst is excellent for opening your crown chakra, clearing your energy field and connecting you with Divine guidance. A stone of serenity and peace, it’s perfect for meditation. Amethyst imbues stability, strength, prosperity and peace. It has been touted to boost immunity, relieve pain and reduce or eliminate nightmares. Several pieces of amethyst from Alicia’s collection are displayed. 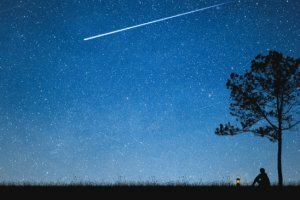 “It makes me feel connected to spirit, my higher self and the truth,” she writes. I just love being in the presence of amethyst. It makes me feel connected to spirit, my higher self and the truth. I feel like this stone reminds me of who I am. When I get lost in the fast pace of life, buried in stress, forgetting to carve time out time for myself, holding amethyst centers me and brings me back to balance, lighting the pathway back to my purpose and where I feel my best. It is a wonderful stone for spiritual seekers new to the world of crystals. Additional stones excellent for those interested in exploring more would be rose quartz, which is known as the “stone of love.” It brings love to all areas of your life where love is needed. It helps with emotional healing, releasing stress, fear, anxiety and emotional trauma, and it can also help physically strengthen the heart. Fluorite is an exceptional stone for stimulating the brain and enhancing learning and memorization skills. It can assist those who suffer from vertigo or dizzy spells, and it can also help one overcome a fear of the future. Photographed is a stunning fluorite gemstone. Fluorite helps stimulate the brain. And finally, carnelian is a favorite of mine for its ability to assist those who procrastinate, motivating one to take action. It’s a great stone for those who are looking to build their confidence and courage. It helps one manifest their ultimate dreams and goals. 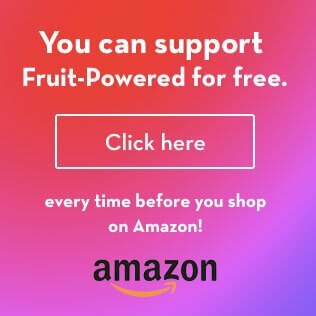 It is a wonderful support for those who are detoxifying from drugs and alcohol and helps one break negative physical habits. If you feel inclined to explore the world of gemstones, check out your local gem fair or any metaphysical store and see which stones you feel most attracted to. To learn more about the metaphysical and healing properties of crystals, check out The Book of Stones by Robert Simmons and Naisha Ahsian, which is my personal favorite, or The Crystal Bible by Judy Hall, which is a small but wonderful book on lots of gems and their properties. Check out Alicia Grant’s transformation profile! Alicia Grant improved her health dramatically after she began following a raw food diet in March 2009. 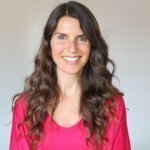 A former professional singer, songwriter and music producer who also has a degree in graphic design, Alicia uses her love of food, nature, spirituality, music, photography and video production to help illuminate the path and guide others to vibrant health and well-being through her uplifting and informative videos as well as through her inspiring Instagram account. Any large crystal you use will have an impact on your space. The important thing to keep in mind, is picking one that you resonate with, as that will help to transform your energy the best. Thank you for chiming in! I believe we’re attracted to certain gemstones and crystals.